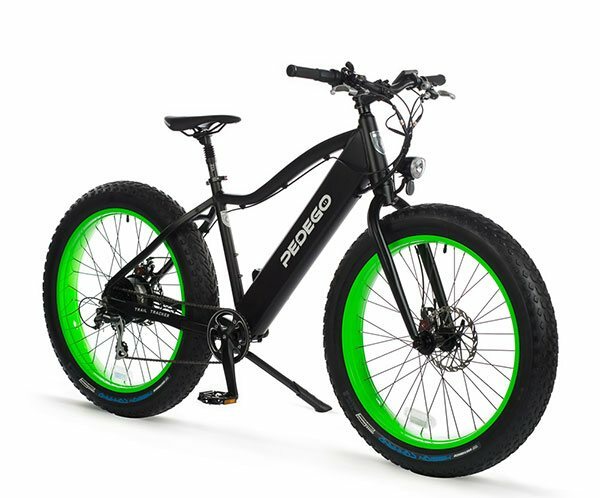 Whether you're looking for the monster truck of electric bikes with ground pounding fat tires, or a go-anywhere mountain bike, Pedego has the perfect ride for the adventurous e-biker! Fat tire bikes continue to become increasingly popular with off road, beach and street riders. Their large width tires make for a comfortable and stable ride, while also giving riders traction in extreme terrain. The also turn heads wherever you go - so be ready for the compliments! The amazing Pedego Trail Tracker is unstoppable! It's 4" wide tires allow riders to go anywhere with ease - including over dirt, snow, sand and mud! The powerful battery is built into the frame for a sleek and dynamic look, and the five levels of pedal assist make conquering the most challenging hills as easy as riding on flat pavement! The Trail Tracker is available in three tire diameters - 20", 24" and 26", so there is a perfectly sized Pedego Fat Bike ready for you! 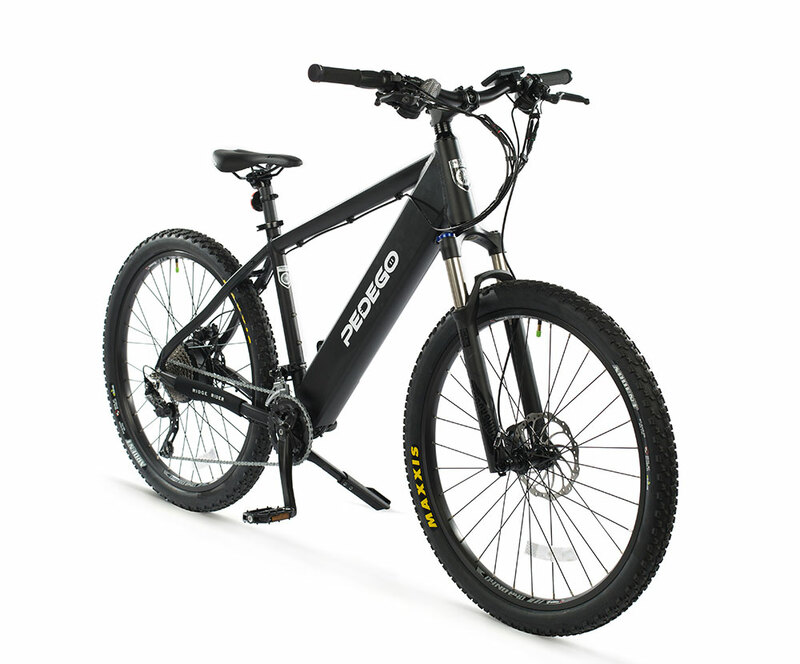 Venture off of the beaten path and enjoy the great outdoors with the Pedego Ridge Rider electric mountain bike! - A Shimano SLX20 speed drivetrain for easy pedaling and smooth shifting. - Magury hydraulic disk brakes with 180mm rotors that can stop on a dime. - A RockShox Recon suspension fork to help you maintain traction and ride comfortably over rough terrain. Also includes a lockout switch on the fork to make it easier to ride on flat ground when the suspension isn't needed. - 27.5" wheels, providing an ideal balance between the responsiveness and light weight smaller frame wheels and the speed and stability of larger wheels - the perfect balance! - A through hub with a quick release lever allowing for quick and easy removal of the front wheel for transportation or storage. Check out this beast at Amp'd today!